Students were able to view the math fair projects in the gymnasium on Thursday morning at Eastern Elementary. 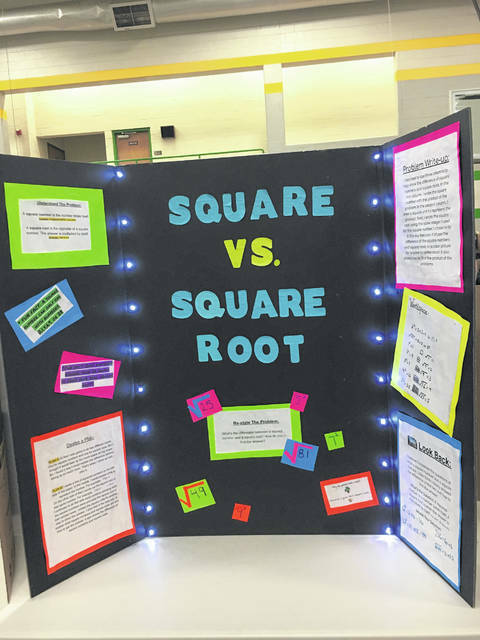 One project looked at square versus square root. 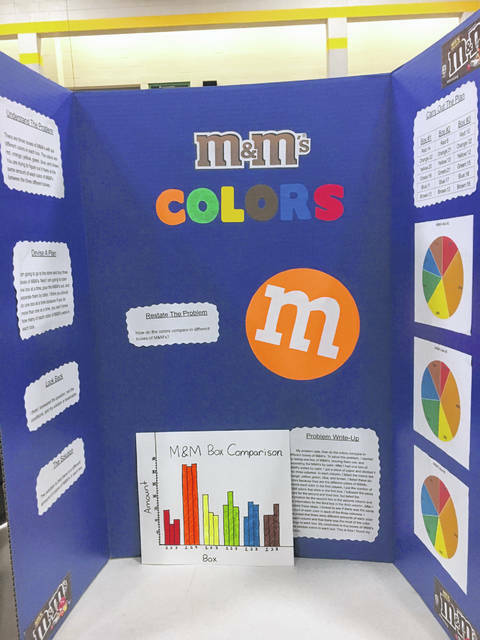 One student compared M&M colors as part of their math fair project. 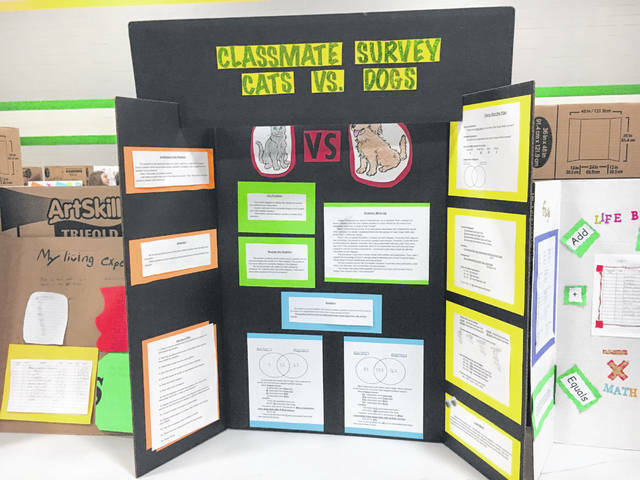 For the math fair project, one student surveyed classmates on cats versus dogs. 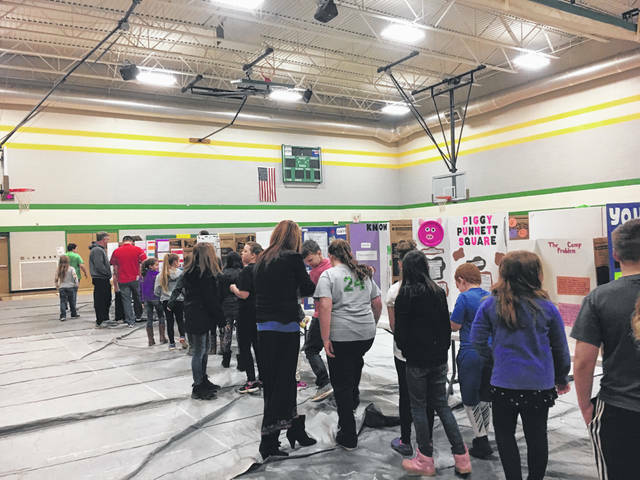 REEDSVILLE — Eastern’s fifth and sixth grade students presented projects at their second annual math fair on Thursday morning. Students, who have been working on their projects since January, presented them for judging in the gymnasium. According to sixth grade math teacher, Debbie Barber, awards will be given for gold, silver and bronze during the May awards assembly. Along with judging, each student will do peer evaluations to critic other projects. Barber said this helps students to see where improvements can be made. “You can see an increase in their skill set from last year,” Barber said of the sixth grade students who completed projects in fifth grade last year. The math fair is mandatory for all students in Barber’s class along with Rebecca Otto’s fifth grade math class. Along with their grade from the judges, they will receive a grade to go toward their final class score. “I like that they’re doing a project based learning,” Principal Bill Francis said. He credits Barber and Otto for helping the students to apply mathematical procedures, which can often be very abstract.